Second Third: Spice-bittersweet. Pepper-black pepper. Toasted-bitter cocoa. It is a chilly evening in Northern California, and a stiff ocean breeze has made its way down the Petaluma Valley which makes me crave something bold and rustic. I’ve poured a glass of Elijah Craig bourbon as its sweetness and depth will complement the vitola’s rich flavors. I could also see it working with a vintage port or even a zinfandel such as Rombauer’s 2014 Napa Valley Zinfandel, a wine I sampled yesterday at the vineyard. The wine had flavors of ripened berries, clove, carmelized banana and honey–and I think it would be a perfect match for the Club Allones. Ramon Allones is unquestionably one of my favorite brands as I have mentioned before. Every vitola in the line has it’s merits and all are undeniably excellent. The Club Allones is a rustic vitola–a dark veiny wrapper, and rolled in a rustic manner. The double band is quite elegant–gold foil, the classic Ramon Allones red, and a limited edition band. But since this vitola is so rustic, the fancy band is a bit of a disconnect in my mind. I’ve never seen nor smoked a Grand Corona–( A vitola with a 47 RG and only 5.3 inches in length.) Was this vitola created specifically for this limited edition cigar? I suspect so. It has a nice feel in the hand and in the mouth. While lacking refinement, this cigar does have a solid backbone of earthy, nutty, and cocoa aromas–and a progression that does not overwhelm the palate. It has a chewy mouth-feel that is somewhat addicting. I decided to pull this out of the humidor at a relatively young age (less than two years old) because I did not detect any hint of ammonia on the nose. My guess is that it utilizes a more well aged blend that was designed to be smoked relatively young. 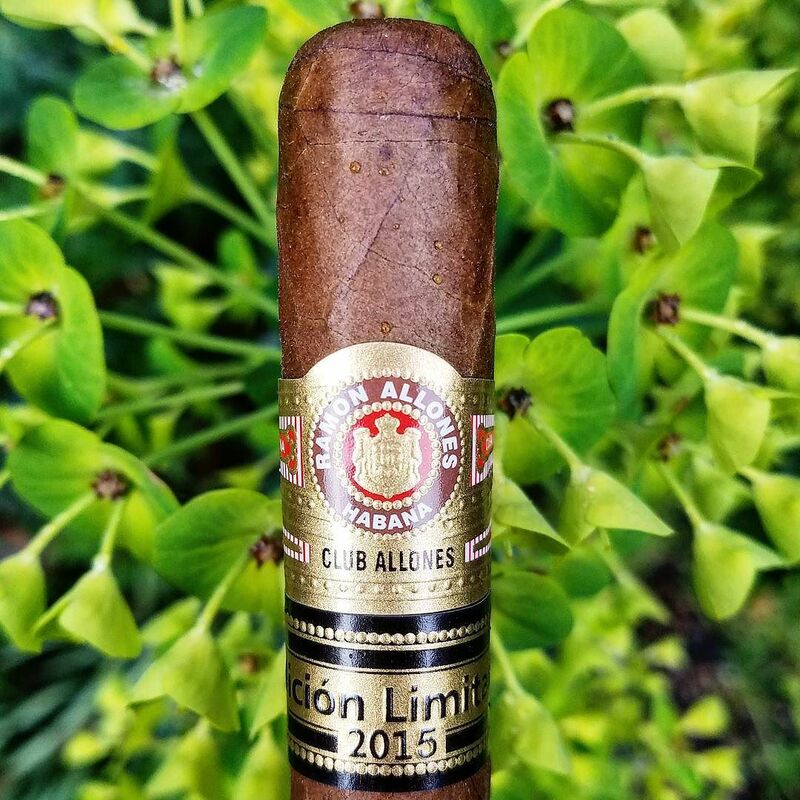 On a high level, this cigar is enjoyable–rich and relatively round flavors–it has classic Ramon Allones earthiness and nuttiness. On a micro level, I was was a bit disappointed at how rustic it is, given that it is a Limited Edition cigar, and it didn’t evolve very dynamically. All and all, a good smoke for a novice palate, or a simply a vitola to enjoy when you don’t want to be particularly challenged.